Neanderthals versus Humans: How much did William Golding get right in The Inheritors? A Neanderthal at the Museo Scienze Naturali Enrico Caffi in Bergamo, Italy. Why do we find our extinct cousins the Neanderthals so very fascinating? Is it because we imagine they were as we once were during the childhood of our own species, before we lost our innocence? The last common ancestor we share with the Neanderthals was Homo heidelbergensis, but we parted company in Africa some 350-400,000 years ago. Maybe the romantic in us yearns to recapture this more primitive way of being before the advent of human civilisation and the mixed blessings of acute self-awareness: an idyllic existence we enjoyed before our expulsion from the Garden of Eden. Or maybe we simply feel a guilty thrill at the thought we “won” in the competition for survival, our “superior” species erasing them from the face of the Earth? 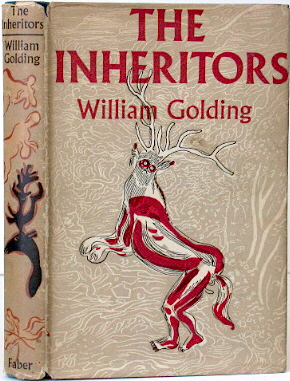 Sixty years ago, after the runaway success of Lord of the Flies, William Golding explored these themes in his second novel, The Inheritors. I first read the book as an undergraduate in 1988 and enjoyed the romantic contrast he drew between their happy innocence and our ancestors’ miserable nastiness. Reading a reflection in the Guardian by Golding’s daughter to mark the 60th anniversary of the novel’s publication, I was inspired to take it down from the shelf again. Would it have the same effect on the middle-aged me as it did when I was 21? The novel is written from the perspective of a close-knit family of Neanderthals who make their annual journey in springtime from their winter home by the sea to a forest cave near a waterfall where countless generations of their ancestors have passed the summer peacefully – only to discover that during the winter, technologically advanced New People have taken up residence on a nearby island. Unlike the Neanderthals, the New People don’t fear the river: they ride it in hollowed-out logs and “dig” the water with wooden implements shaped like leaves. Their bodies are covered with thick fur that they can shed at will, as a snake sheds its skin. They use a wide range of tools including bows and arrows, the purpose of which is initially mysterious to the placid Neanderthals, who don’t hunt (though they occasionally scavenge) and whose only weapons are the branches of thorn bushes that they carry to ward off hyenas and big cats. Golding drew a sharp distinction between the Neanderthals’ peaceable way of life and the aggressive, occasionally drunken behaviour of our own ancestors. In his story, the people who are destined to inherit the Earth kidnap a female Neanderthal child and a baby, and pick off the rest of their family one by one. In common with everyone else at the time the book was written, the author assumed the Neanderthals would be defenceless against this kind of assault, without weapons, dim-witted, possessing only rudimentary language and having little ability to plan ahead or reason. His Neanderthal people don’t have thoughts as we do, only wordless “pictures” which they struggle to share with each other verbally. They live almost entirely in the present but they venerate an Earth Mother called Oa who they believe brings forth life. They bury their dead with a touching reverence but without formal ceremony. By contrast the New People seem to have a more complex religious belief system revolving around a priest figure dressed up as a stag who officiates during sacrificial rituals. Golding depicts the recent arrivals as startling pale-skinned in the eyes of their darker cousins. Their faces look so pale to them, in fact, at first the Neanderthals think they’re wearing masks of bleached bone. How well does all this stand up in the light of what we’ve learned over the past 60 years? Not terribly well, it has to be said. The technological gulf in weaponry Golding portrays is unlikely because hundreds of thousands of years earlier in what is now South Africa our common ancestor H. heidelbergensis was probably already using stone-tipped spears for hunting. The author was onto something, though, when he envisioned the kidnap of a young female Neanderthal and a baby by the New People. We now know that humans and Neanderthals began to interbreed around 50,000 years ago and that as a consequence up to 4% of the DNA of modern Europeans and Asians is Neanderthal. Human colonisers (and possibly raiding parties of wild chimpanzees) retain a reputation for kidnapping native females and assimilating them into their own population. Far from being mostly vegetarian, occasional scavengers, however, we know the Neanderthals were capable of hunting, butchering and cooking a wide variety of animals, including deer, mammoths, pigeons, fish, dolphins and seals. They used stone and bone tools, in all probability inventing some of these independently rather than imitating humans. We can’t know for sure but it is also safe to assume that the New People – or “anatomically modern humans” as anthropologists call us – would have been the ones with the darker skin, having only comparatively recently spread northwards into Europe and Asia from their former home in tropical Africa. By the time our species arrived Neanderthals had already been living in Europe for a couple of hundred thousand years, so their skin would have been pale to maintain synthesis of vitamin D at these higher latitudes where the days are shorter and the sunlight is less intense. To survive in cold climates they would also have needed warm clothes, and there is evidence that they were tanning leather hides at least 100,000 years ago. They were certainly not running around naked. Even the once popular idea that Neanderthals lacked a culture or artistic creativity has effectively been laid to rest with the unearthing of evidence that they used body paint and jewellery and may have been the first to create cave paintings in Europe around 40,000 years ago. If Neanderthals were so smart and well-adapted to their northern home, how come the relative newcomers, the New People, survived while they died out? The key evidence may be found in their skulls, which had several distinctive features compared with our own. It is well known that Neanderthals had a prominent brow ridge and sloping forehead, but what is more surprising is that their brain volume was comparable to our own, if not greater. Our shared ancestor H. heidelbergensis had a cranial volume of around 1,170 cubic centimetres, which increased to 1,370 cc during the evolution of anatomically modern humans and to 1,320 cc (or as much as 1,600 cc according to some estimates) in Neanderthals. This is all the more surprising when you consider that Neanderthals were short and stocky (which minimised heat loss in a colder climate) so they beat us hands down in terms of brain/body volume ratio. Their skulls also reveal that their brains were asymmetric, which some anthropologists believe to be a sign of language development. Big brains are costly to maintain in energy terms, but according to Robin Dunbar’s social brain hypothesis, the key survival benefit they provided was the ability to live in large, cooperative social groups that would have provided an edge in terms of things like hunting, evading predators and holding your own against rival groups of brainy apes. 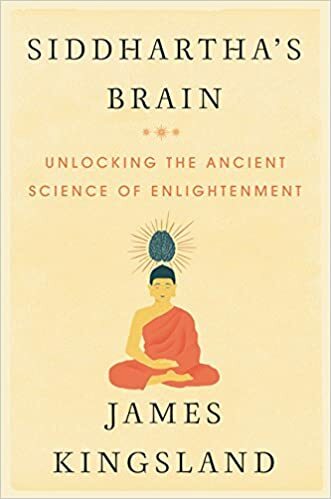 But it is not the overall size of the brain that matters most in this regard, but the size of the frontal lobes, in particular the orbitofrontal cortex above the eye sockets. This is where “mentalising” takes place – the ability to infer the mental states of others, sometimes known as theory of mind, which is critical for social cohesion. Dunbar has shown that the maximum size of a primate’s social group increases in proportion to the size of this part of its brain, and he has used this relationship to infer the group size of our ancestors and that of Neanderthals. This is where humans’ competitive advantage becomes clear because Neanderthals had relatively small frontal lobes. Most of their lead in terms of overall brain size is accounted for by bigger occipital lobes, housed in a distinctive bulge at the back of their heads which we humans lack. This part of the brain isn’t involved in higher cognitive functions such as mentalising, reflecting on the past or planning the future, but in vision: their bulging occipital lobes were probably an adaptation to lower light levels at northern latitudes. For the same reason, the Neanderthals also had eye sockets 20% larger than our own and therefore bigger eyeballs. Reconstructions of their faces don’t emphasise this feature, but in addition to the brow ridge, long skull and sloping forehead, this probably made them look distinctly alien and probably frightening to human eyes. Focusing on frontal lobe size, Dunbar and his colleagues at the University of Oxford have calculated that while our own maximum social group size was and remains around 150 individuals, that of the Neanderthals was approximately 110. This suggests that in the hundreds of thousands of years since our lineages split, our own ancestors banded together in ever larger gangs whereas the Neanderthals’ social cognitive abilities and maximum group size changed little from those of H. heidelbergensis. So whenever our two species competed for limited resources, or indulged in violent interspecies rivalry, the Neanderthals were outnumbered and organisationally outsmarted. Our estranged cousins survived for 300,000 years in Europe and western Asia before vanishing around 28,000 years ago. There were almost certainly several other factors responsible for their extinction in addition to their relative social backwardness, in particular the Arctic ice sheet expanding southwards into their habitat, but also, perhaps, the deadly pathogens brought by humans much as novel diseases transmitted by tourists have been overwhelming the immune defences of mountain gorillas in Rwanda over the past few decades. But Dunbar’s theory that Neanderthals’ smaller maximum group size put them at a competitive disadvantage is appealingly neat and also fits the romantic narrative that has built up around them. They were socially naive and by extension would have had less of the sense of self and superstition that seems to go hand in hand with the development of sophisticated mentalising abilities. We can infer this because they buried their dead but with minimal ritual compared with the humans living in Europe at this time, suggesting that their religious belief system was much cruder than ours. Golding captured this innocence beautifully in The Inheritors, even if he inevitably got many of the fine details wrong, and nowhere in his book does he actually use the term “Neanderthal”. The people he portrays could have been any of the several other hominin species that still survived in Europe and Asia in the Upper Palaeolithic. Their story can be read simply as an archetypal tale of the clash between socially primitive, happy innocence and sophisticated, self-aware brutality, and as such his novel still works brilliantly. He was right about another thing, which has more to do with our own sorry species than theirs. Towards the end of the novel we learn that the cerebrally brilliant New People are actually terrified of the primitive Neanderthals, seeing them as malevolent forest spirits, and it is this fear that provokes their genocidal violence. Update, 13/10/15: I foolishly wrote this review before finishing the book, imagining I would remember the ending accurately from 30 years ago! Turns out I remembered it all wrong. The tragic conclusion is a whole lot more moving than I recalled (or maybe I’ve just gotten sentimental in my middle age), and I had completely forgotten the passage where Golding finally lets us see the last Neanderthal with our own eyes, from the outside as it were (the preceding chapters were all written from his perspective). Golding’s creature is more orangutan than human, with red hair and very long arms with fingers and toes adapted for swinging around in trees. It can walk on two legs but mostly lopes around on four. So I’ll say no more about science.